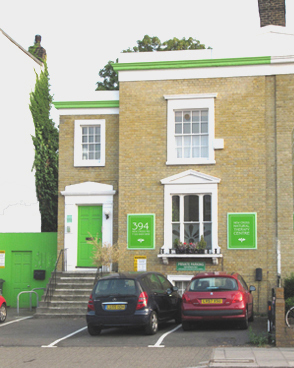 The Centre was opened in 1985, one of the first complementary and alternative health centres in South East London. The ambition of the founding members was to offer natural health care at reasonable rates to the local community. The founders were keen to promote the benefits of therapies such as acupuncture, osteopathy, homeopathy, counselling and massage, that were not readily available through the NHS. More than 30 years later we still have the same aims and have constantly broadened the range of therapies available, to include chiropractic, shiatsu massage, psychotherapy, nutritional therapy, hypnotherapy and many more. This site gives a brief introduction to the range of therapies we provide. All therapies at the Centre aim to treat the whole person, mind body and spirit. Your practitioner may ask about your lifestyle, diet and emotions, as well as your symptoms, in order to build up a complete picture of you. Our approach aims to leave you in control of your own health. Combined with possible changes in lifestyle and habits, we will support you in all aspects throughout your healing process and beyond. The Centre is open from 9am to 9pm Monday to Friday. 9am to 2pm Saturday, later by arrangement. Reception is open 9.30 to 2pm and 4pm to 7pm Monday to Friday and 9.30 to 2pm on Saturday. We have our own car park with free parking space for four cars and cycle stands for locking up your bikes. Gift Vouchers are available, you can buy them in person or over the phone using your bank card and we can send them to the person and address of your choice. Please ask us for more details. All our practitioners are experienced, fully qualified and insured. We are always interested in hearing from qualified therapists who would like to practise here. Please send a CV and contact details to us at 394 New Cross Road, London, SE14 6TY or email to newxtherapy@btconnect.com or phone us on 020 8469 0858.